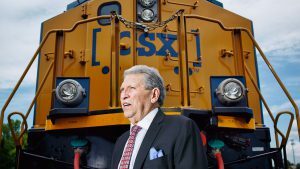 While the financially panicked government of Alberta has imposed radio silence on its contentious plan to launch a state-owned fleet of oil trains, CN has teamed with a First Nation to obsolete both tank cars and pipelines in the transportation of bitumen. 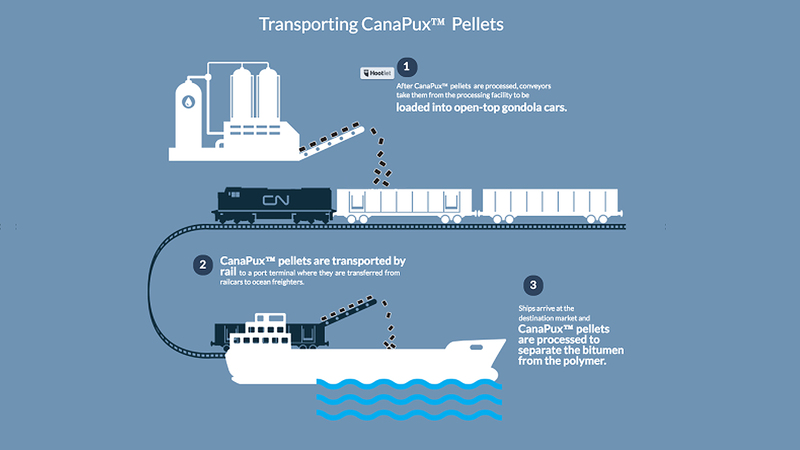 CN and its partner are spending C$50 million on a pilot plant that will press bitumen into CanaPux™ plastic-coated pucks that could be safely and cheaply transported in coal hoppers and loaded into ships at existing ocean coal terminals. Currently, the thick, barely flammable tar must be generously diluted with naptha or other liquid petroleum gas for it to flow either through pipes or into railcars. 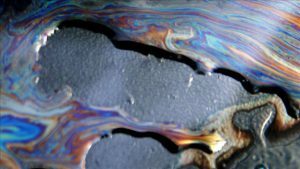 The highly explosive “dilbit” (diluted bitumen) combines the danger of high volatility with the environmental persistence of, well, tar. Dilbit spills are notoriously difficult to remove from lakes and rivers. 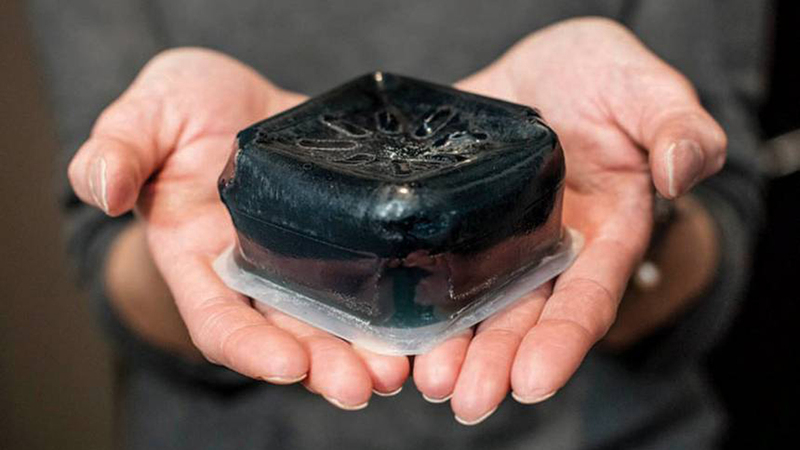 Ruest is betting CN resources on what may be a much better way to solve the sticky problem of shifting bitumen tar from northern Alberta to refineries with a thirst for heavy oil. CN lost two bitumen trains in staccato succession at the same northern Ontario location in 2015. It was the following year that the railway began its CanaPux™ development. CanaPux™, as CN calls them, float in water. That means a riverine or marine mishap could be quickly remedied with minimal risk to water or wildlife. Even better, the CanaPux™ membrane is made from otherwise unrecyclable film plastics, including shopping bags. The membrane is cooked off at the destination refinery and cycled back as a solid for reuse. CN’s partner in the project is Wapahki Energy, which is owned by Heart Lake First Nation, located in tar sands country some 190 miles northeast of Edmonton. The native band’s participation should help mollify indigenous peoples’ concern for their land rights and environmental integrity. Sproule Energy Consultants calculated that oil producers could keep $15 more per barrel of bitumen because they would forgo the cost of dilution (the diluent must be extracted from the bitumen and returned by rail or pipeline to northern loading terminals). How fast CN and Wapahki can deploy their technology will influence prospects for conventional transportation. 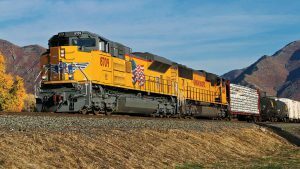 The partnership intends to dispatch its first trainload of dry bitumen before the end of 2020. An Asian refinery has been recruited to process the pilot plant’s output of 10,000 barrels per day. That’s likely to be sooner than Alberta can deploy locomotives, tank cars, conductors and engineers for its fantasy train set. Alberta might better invest a far smaller amount in accelerating the CanaPux™ alternative. Contributing Editor David Thomas is a reporter who has covered government and society since graduating from Ottawa’s Carleton University with degrees in political science and journalism. 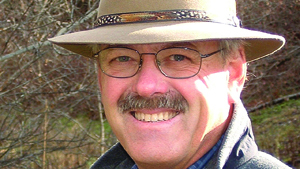 He has written for National Geographic, Maclean’s, The Globe and Mail, The Gazette, and The Canadian Press news agency from postings in Ottawa, Montreal, Quebec City, Toronto and London, England. 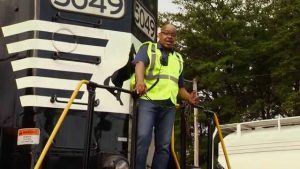 “Railroading has been a personal fascination since a childhood timed fortunately enough to witness the golden years of steam on the late-to-dieselize Canadian National and Canadian Pacific,” he says.